Lesser Black-backed Gull graellsii TL8 8CY & 18CY, February 2006 & May 2016, Madrid, Spain & Neeltje Jans, the Netherlands. 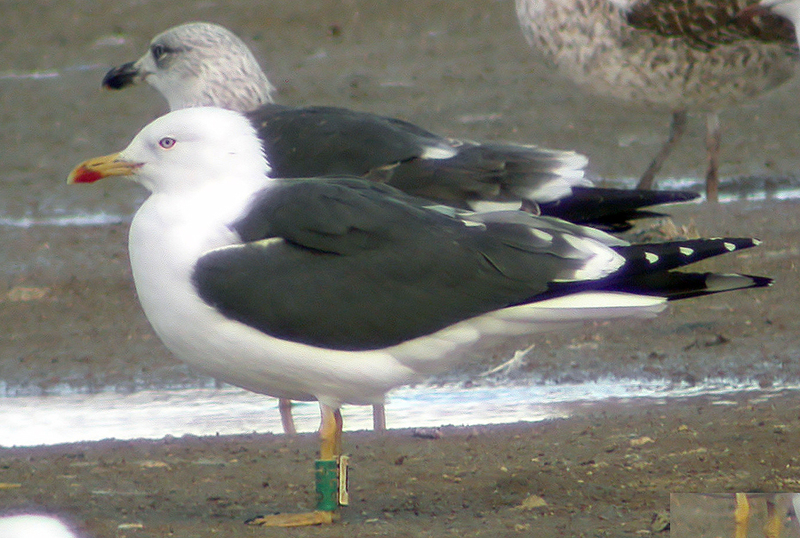 Lesser Black-backed Gull graellsii, ringed as pullus on July 07 1999 at Maasvlakte, the Netherlands. L. f. graellsii TL8 18cy May 05 2016, Neeltje Jans, the Netherlands (51°38'17.74"N 3°42'27.05"E). L. f. graellsii TL8 8cy February 26 2006, Landfill VRSU de Pinto, Madrid, Spain. Picture: Delfín González.